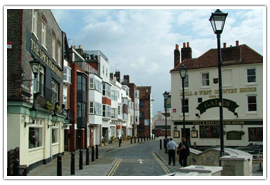 Hampshire, abbreviated to “Hants” is a county on the southern coast of England, with Winchester as its county town. Hampshire is an extremely important county militarily speaking, as it houses the birthplace of three of the armed forces, namely the Royal Navy, The Royal Army, and the Royal Air Force. Important figures in its history include writers Jane Austen and Charles Dickens, as well as engineer Isambard Kingdom Brunel. 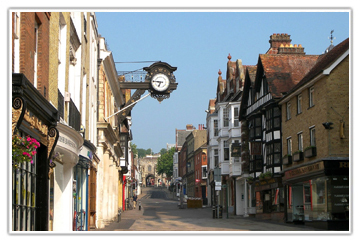 Winchester is an hour from London by train, with the average bus journey needing around 2.5 hours. Once known as the county of Wessex, Hampshire has a variety of towns and villages with Southampton being its largest. Southampton has been inhabited since at least the Stone Age, and is a port town of importance, with imports including French wine, and exports of wool and cloth. 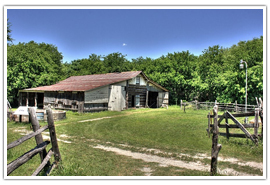 Home to art galleries, theatres, and museums, Southampton has a strong cultural flavor, and is also a tourist town, pulling in hundreds of thousands of visitors yearly to see its heritage sites and variety of architecture. 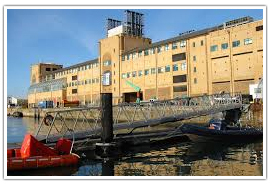 Portsmouth is a port town on the coast of Hampshire and is home to the world[‘s oldest dry dock. Portsmouth Cathedral is the seat of the Bishop of Portsmouth, the original chapel as which it started life being built in 1180, and a site of extreme tourist interest. 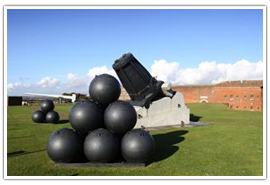 Things to see in Portsmouth include the world-renowned sculpture – The Spinnaker Tower, the D-Day Museum, the Mary Rose Museum and of course Portsmouth Harbour. 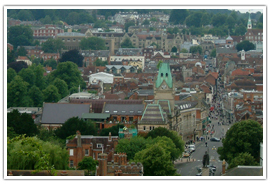 Winchester was originally formed in the Iron Age and is the county town of Hampshire. It is the site of many historic buildings including Winchester Cathedral, Wolves Castle and Palace, Winchester Castle and the Hospital of Saint Cross. Winchester is also the home of the Ghurkha Museum, Hursley House, and Lainston House and boasts excellent dining with over 140 restaurants to choose from. There are a large number of parks and gardens registered with British Heritage in Hampshire, with beautiful old country estates and sprawling gardens dating back hundreds of years. 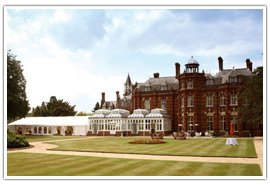 Elvetham Hotel rests in thirty-five acres of beautifully preserved gardens, with a formal garden that was created in around 1860, an immaculate croquet lawn, ornamental trees, a kitchen garden and wide variety of beautiful colored plants. 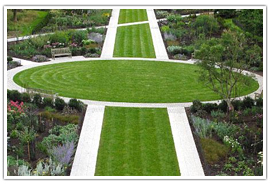 Sir Harold Hillier Gardens is a wonderful treat for all the family, with a wonderful variety of things to see and do. Himalayan Valley is a spectacular example of the utilization of steep areas to exhibit azaleas, Rhododendrons, Hydrangeas, and Pieris. 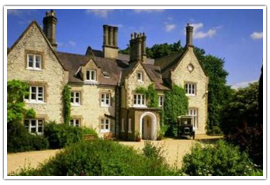 Built in the 18th Century, Houghton Lodge is a member of the Historic Houses Association and is set in stunning, extensive grounds with well-manicured lawns sweeping their way down to the River Test. 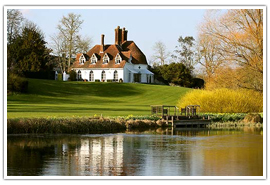 Originally a “Cottage Orne”, or nobleman’s fishing retreat, Houghton Lodge is quite simply one of the most beautiful houses in Hampshire, and was once a finalist in the “Britain’s favourite Country House” contest in the Country Life magazine. 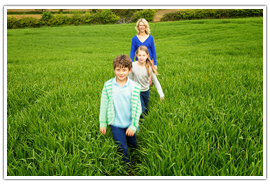 Hampshire is a busy and vibrant county and offers wonderful days out for people of all ages and bends. 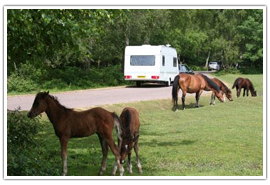 The world famous New Forest is a nature reserve in Hampshire and boasts gardens, forest, museums and leisure activities as well as a wildlife park, farm and much more. Activities in Lyndhurst include walking, cycling and sightseeing and the village itself has always been known as the capital of the New Forest. Fort Nelson displays its significance and importance in military history with its comprehensively rebuilt armoury, constructed to the same standard as when it was first built in 1890. 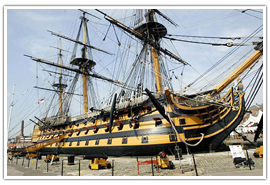 The world’s most famous warship, the HMS Victory was Nelson’s flagship, and now stands proudly at dry dock in Portsmouth Harbour, a reminder of Britain’s dominance of the high seas in centuries gone. Hampshire is a tourist favourite in England, with its comparatively sunny climate, military history and wide open green areas. 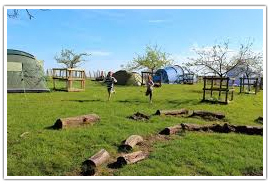 Paulton’s Park is a theme park for all the family to enjoy with a wide range of rides and attractions to try. 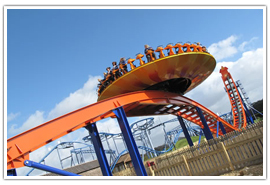 It is also the home of Peppa Pig World and has over 40 rides and attractions to try out, including the Magma drop ride, the Edge Roller Coaster Mexican Hat Hybrid and the Cobra roller coaster. 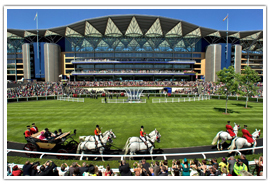 Royal Ascot is a day out for those wishing to experience the glamorous world of upper class horse racing. Full packages can be booked including upgrades to the Furlong Club with its elegant seating, decked terrace and complementary race cards. 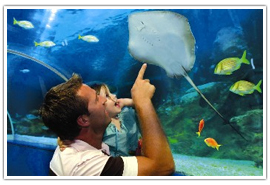 With marine wildlife ranging from Cuttlefish to Stingrays and from Sharks to Piranhas there is a real feast on offer here for lovers of marine life. Hampshire, with its history steeped in military and artistic traditions is a British favourite when it comes to afternoon tea. 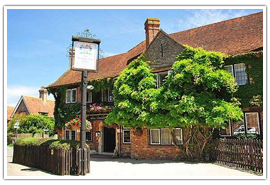 A wonderful hotel with a stately feel to it, Montagu Arms offers relaxing sofas and roaring fires in the chill of winter, but throws open its windows in the warm summer to offer refreshing tea (of which there is a fine selection) and scones with clotted cream to the world. 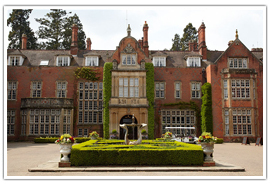 A grade 2 listed mansion, Tylney Hall near Hook is a wonderfully preserved and maintained building with beautiful gardens and utterly fantastic views of the Hampshire countryside. 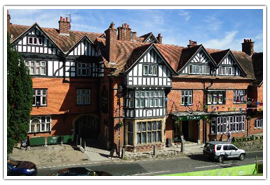 Langrish House is a warm and friendly listed building and serves as a hotel and home to the Talbot-Ponsonby family, as it has for over 6 generations. The menu offers tea and cakes that are as exquisite as the gardens that surround this wonderful old mansion. Hampshire is a very popular wedding destination in Britain, with elegant period houses and mansions dotting its beautiful, green countryside. 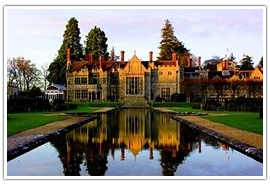 Rhinefield House makes its visitors stop and say “Wow” as they gaze along its stunning water approach to the beautiful main mansion building. Weddings here can be everything from intimate to a full society affair, with the property able to tailor any package to your needs. 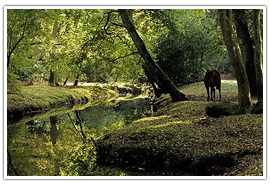 Hampshire has some beautiful places to visit, including but not limited to the New Forest and its surrounding areas.